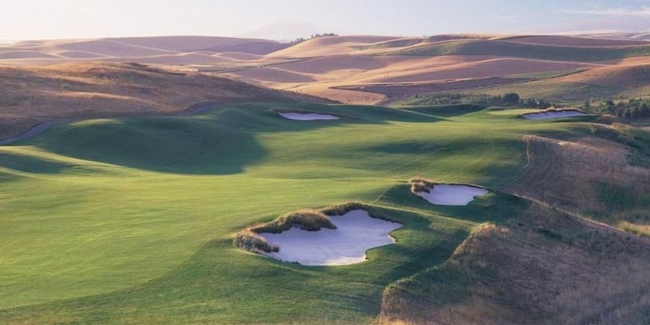 If you live in the U.S. and you want to play links golf, I am delighted to report that the 'links' golf experience is alive and well in, of all places, Pullman, Washington - at the Palouse Ridge Golf Club. Located a few hundred miles east of the Pacific Ocean in the heart of the Inland Northwest, Palouse Ridge also happens to be the home course for the men's and women's golf teams for Washington State University - Go Cougars! And, it's worth noting that Palouse Ridge hosted the 2015 men's collegiate golf championships for the PAC 12 Conference. And in 2012, Golfweek rated Palouse Ridge as the #2 ranked college golf course in the country. Without a doubt, this tract is legit and has credibility. While traditional links courses are constructed along the seashore (meaning the actual golf course acts as the 'link' between the sea and the mainland), Palouse Ridge is the geographic exception because it is not a seaside course. But Palouse Ridge does have one thing in common with traditional links courses, the presence of wind and very few trees. Mother Nature's strong, steady, and persistent winds prohibit the growth of trees on links golf courses. At Palouse Ridge, trees are the exception and not the rule, as you really don't see many trees until you hit the 9th and 18th fairways. Palouse Ridge is a windswept masterpiece - a real beauty. There's a subtle strength that oozes from its tees, fairways, and greens. You sense it and you feel it - from the opening tee shot to the walk up the 18th fairway. 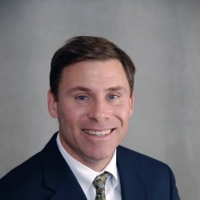 "The course is a great amenity to the Pullman community for it encompasses the university's (Washington State University) mantra of 'World Class face to face,'" says Todd Lupkes, general manager, Palouse Ridge Golf Club. "It brings all of the aspects of community, learning and recreation under one unique setting that sets itself apart from ordinary golf facilities." 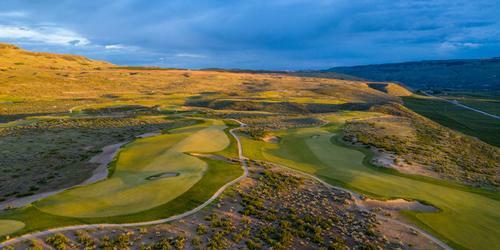 Because of her exposed terrain, breezy conditions are the norm at Palouse Ridge. As a result, several holes are played into a strong, steady breeze; some holes are played downwind; and some holes are affected by either a left-to-right or right-to-left crosswind. Another unique element of Palouse Ridge is its configurations of par fives. There are five of them on the course. In fact, four of the final ten holes on the course are par fives including back-to-back par fives at holes 9 & 10 and holes 17 & 18. While each par five is a potential birdie hole, a par at each hole is always an acceptable outcome. If you play the par four 12th hole into a breeze, it plays like a par five. But if the 12th is played into the wind, the 14th and 15th (both par fours) will be played downwind. The 15th is a real treat for the big hitter who might be inclined to go green-seeking with the driver from the teebox. When played downwind, the 15th is reachable from four of the five tees. The par threes also create an indelible impression on your golfing memory bank, especially the 4th, 11th, and 16th holes. The tee shot on the 4th is uphill, but what makes the hole an adventure is the embankment to the right of the green which feeds the ball down to the putting surface. It is OK to be a little right of the 4th hole with your tee shot. The 11th hole is played over a pond to a raised green which is guarded by two sentry bunkers. When played into a steady breeze, you may have to take two extra clubs to reach the 'dance floor' at the 11th. The 16th is a short, uphill par three, but the two-tiered green is guarded on all four sides by sand. The prevailing breeze is often a right-to-left cross breeze. Picking the correct club is no easy task. Whatever you do, don't miss this green on the right. I did and I won't do it again. If your timing is right when playing the 14th, there's a good chance that you might see a plane taking off from the nearly Pullman airport. It's an attention-getting sight to see a soaring aircraft appear out of nowhere from the behind a nearby hill as you walk toward the green. Another amazing aspect of Palouse Ridge is the sightseeing experience. Wow! While the state of Montana is officially the Big Sky state, this part of southeastern Washington also provides jaw-dropping views of the surrounding countryside in all directions. You are so high that you easily see developing weather in the distance. Just hope that it is not headed your way. All in all, a round of golf at Palouse Ridge is the complete package -- fascinating, fun, scenic, and invigorating. And, if you don't have clubs, their rental clubs are great. They were for me and they will be for you. It's now time to access the Internet and check out this course online - www.palouseridge.com. There's somebody in the pro shop (509-335-4342) who is ready to take your telephone call to book your tee time because they know that you have just read this story. Enjoy!